Honoree « ROOTED IN COMMUNITY, GIVING RISE TO A STRONG FOUNDATION. Miky Lee (Mie Kyung Lee) is the Vice Chairwoman of CJ Group. She is responsible for the overall strategic direction and management of CJ Group’s entertainment and media division. Alongside her brother, the Chairman of CJ Corporation Mr. Jay Lee, Ms. Lee founded the entertainment and media division of CJ in 1994 after leading CJ to become one of the founding investors in DreamWorks SKG. Since then, CJ has built many influential companies in Korea’s entertainment and media industry – CJ CGV, the first and largest multiplex cinema chain, and CJ ENM, a global convergent content and commerce company. With the success of the entertainment and media industry in Korea, Ms. Lee continues to travel around the globe to build global common ground to bring positive change through the cultural industry and strengthen the global expansion of CJ’s business. In 2017, Ms. Lee was named a new member of the Academy of Motion Picture Arts and Sciences (AMPAS) which awards the annual Oscars. She was also selected as one of 16 leaders of the World Bank’s Women Entrepreneurs Finance Initiative (We-Fi). As such, she became the only Korean to join this visionary group of female entrepreneurs. Prior to joining CJ, Ms. Lee served as the Director of Samsung America, spearheading its cultural and educational projects. She established the Parsons School of Design in Seoul and oversaw the formation of a branch of Pasadena’s ArtCenter College of Design for Samsung. 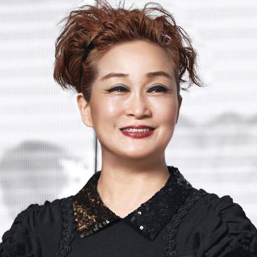 Ms. Lee has been widely recognized for leading the largest entertainment group in Korea and for her global vision. She was selected as a Global Leader for Tomorrow Community member by the World Economic Forum 1997. During the 2006 Women’s World Awards, she became the first Asian woman to be awarded the World Business Award. Ms. Lee was also selected as one of the leading executives in the film industry by Variety in its Women’s Impact Report 2006. In 2007, she received the CEO of the Year Award by Korean Management Association in recognition of her work in managing one of the largest companies in Korea. In 2012 and 2014, she was on the Forbes Asia list of 50 top Asian businesswomen. Ms. Lee has always had a deep interest in education and cross-cultural affairs. She earned her B.A. in 1981 at Seoul National University. She studied Chinese language and linguistics at Taiwan National University (1981-1983) and Japanese language at Japan’s Keio University (1984). In 1986, Ms. Lee received her M.A. in Asian studies from Harvard University. At Harvard, she served as a Korean language teaching fellow for three years. Ms. Lee also studied Chinese literature and history at Fudan University, China. Miky Lee is the first grandchild of B.C. Lee, the founder of CJ and the Samsung Group, and was born in Knoxville, Tennessee, USA.